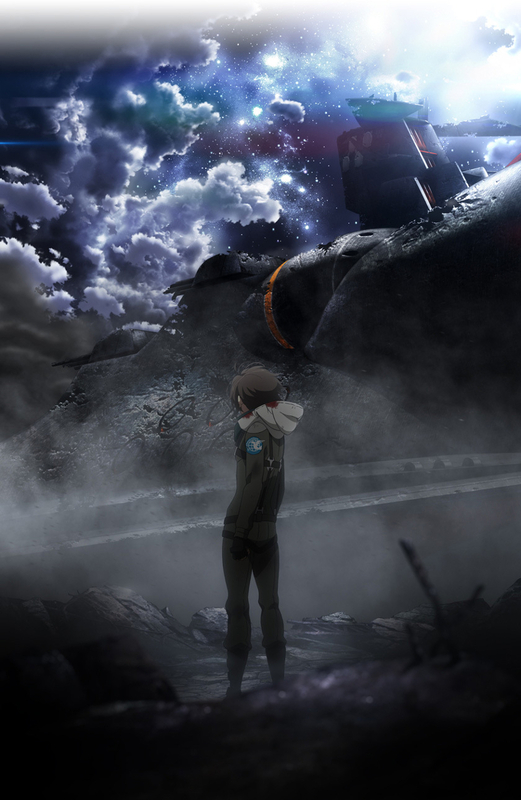 Aldnoah Zero is a mech anime that has two very distinct levels of technology. One is Earthling tech, which is advanced compared to our standards but is still a bunch of mechanical humanoid suits walking around with really big guns. The other is a super-advanced tech scavenged from ancient ruins on Mars, or Vers or whatever, which allows their warriors to do fantastic, formidable things as a matter of course. Obviously, in a war between the two, the Martians, or Versians or whatever, have an overwhelming technological advantage over the Earthlings. Unless, of course, the Earthlings can rationally analyze the enemy and exploit specific points of vulnerability. That, right there, is the single best part of this anime, hands down. When you have one side swaggering around, casually murdering tremendous swathes of the population with a grin, and then you have the underdog triumphing magnificently through the use of their wits… well, there is very little which is more satisfying to watch. Especially when there’s an awesome soundtrack involved! In addition, there are some interesting characters with fascinating personal journeys to make. Most of them are teenagers, but for being so young, they have to wrestle with learning unpleasant truths, deal with the desire for revenge, and generally grow up fast. The conflict between the humans of two worlds reaches into issues of racism, tolerance, and equality, not to mention forgiveness in the face of great loss. There were some weak points, of course. One character got rather annoying with how she kept trying to keep her little brother out of the fight, no matter how capable he was proven to be. Said brother was usually the one to figure out how to defeat the powerful knights of Mars, but his complete lack of emotion was off-putting. I mean, there is such a thing as being rational and emotional at the same time, but looking at these two, you wouldn’t think so. In addition to how many characters were either bland or annoying, there were a number of times where… well, it was like they automatically understood something, but didn’t explain it to the audience. That happened a lot in the second season, but my favorite example was in the first season, when these two young men, technically on opposing sides, formed a hasty alliance to down a mutual enemy (the Martians are not as united as they might seem). Then they immediately turned on each other, and something about it felt “just because.” I mean, seriously, what kind of unspoken dialogue did these two have within a few seconds? Yet, perhaps the single most profound example of things happening “just because” is the entire premise of why Martians hate Earthlings. Some guy left Earth, went to Mars, stumbled onto the ruins that gave him power, and, within his single lifetime, built a flourishing feudal empire out of nothing, with other people who came from Earth, and, despite how they all clearly live in comfort, if not outright luxury, he successfully indocrtinates all of them to blame Earth for all their problems because the people there live on a planet that actually has water and animals and such. Now, I can appreciate the first overarching villain (the first season of the show was pretty great, all problems notwithstanding). Count Saazbaum is one of the more interesting antagonists, in the fact that he recognizes much of what is right and wrong with both Earth and Mars, and he’s actually trying to do something about it. He thirsts mightily for revenge on both, as they shaped the hatred which dominated his early life and stole the life of his betrothed. But through this cataclysm, he hopes to free both worlds of tyranny and break the cycle of hatred which exists between them. A lot of the details are sketchy, but his motivations are complicated and his goals are unique. It’s easier to understand that he sees himself as a hero, albeit one that has done ugly things. The first half of the show is actually pretty great. It’s the second half that goes off the rails. There’s a “just because” explanation for how they characters got from the end of one season to the beginning of the second. The main protagonist nearly died but now has an artificial eye with some super software that taxes his brain and can even take control of his body in due time, and when did Earthlings get tech like that? The conflict goes round and round and why anyone is doing anything, we no longer know. And a bunch of stuff happens and a bunch of people die and yada-yada-yada. So, it started out pretty strong, both enjoyable and compelling, if also imperfect, and then it just went downhill. A lot. Not to say there wasn’t anything still good in it, of course. I just began to get tired of the “just because” mentality of the narrative. 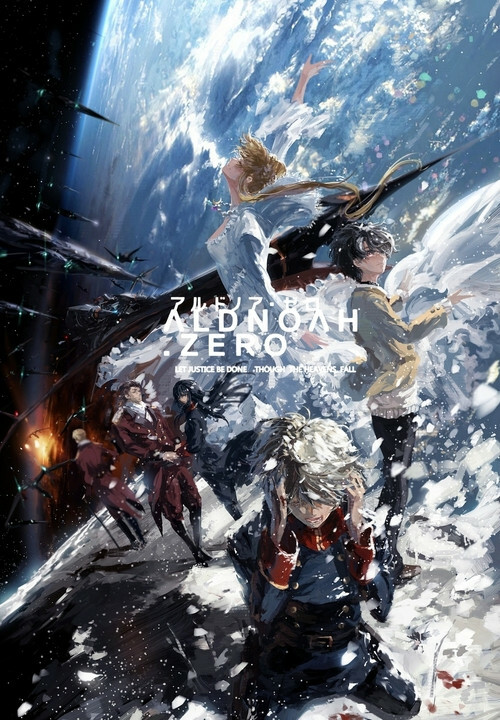 That said, I still find myself liking Aldnoah Zero, if for nothing else than for its first season. 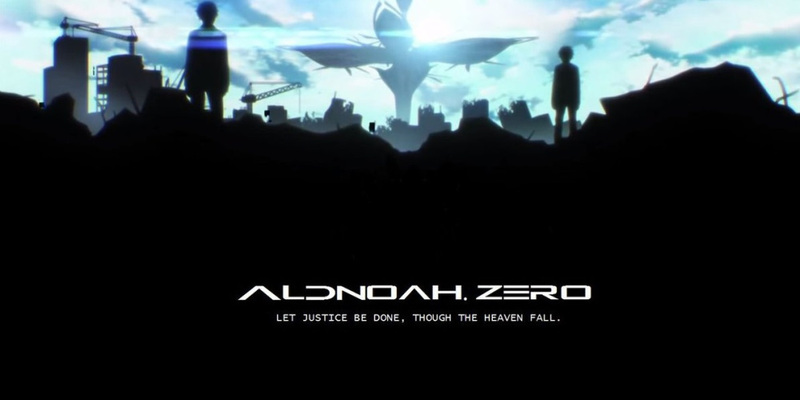 This entry was posted in Anime and Cartoons, Tuesday Review and tagged Aldnoah Zero. Bookmark the permalink. The first half stands quite well on its own if great animation, strategized battles, and high energy music are your thing. (They’re mine, at least.) I totally understand your criticisms with the second season. My biggest problem with it overall is the opening set-up: epic first half finale where everyone bites the dust, then we have this hard reset and suddenly everything’s ok…? What a waste of energy. Anyway, glad you enjoyed it enough for a B. Perhaps I should rewatch the second half and see if it bothers me as much as it used to.